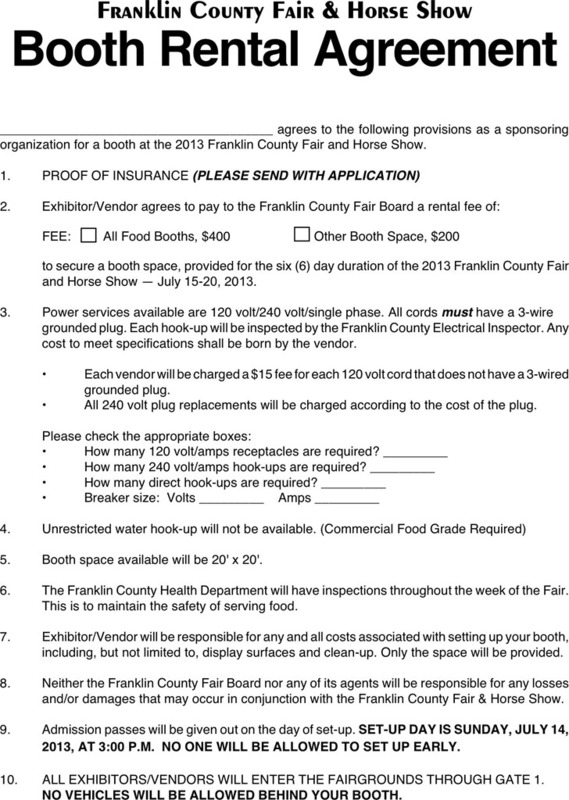 A booth rental agreement is usually a legal contract between the booth owner and a leasing party. The agreement will grant permission to the leasing party to use an assigned area in exchange for money. 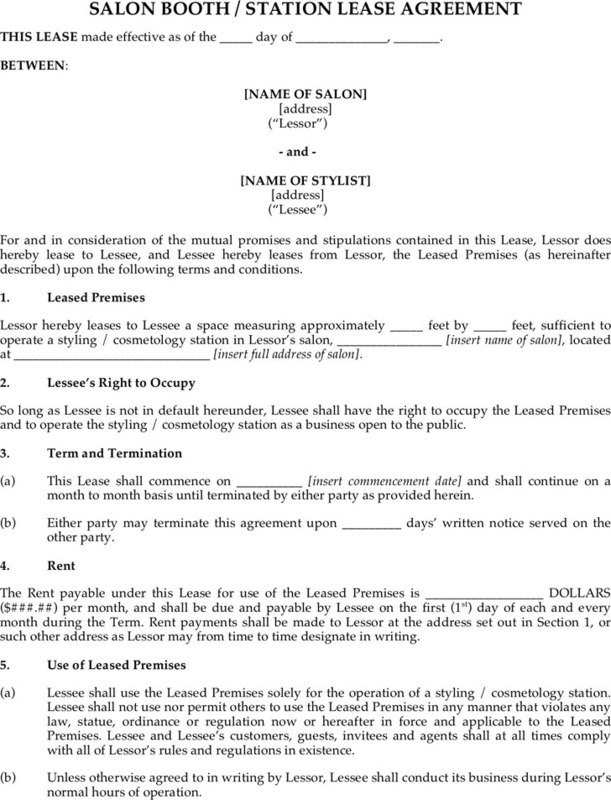 Booth rental agreements are most common in businesses like hair salons and tattoo parlors. 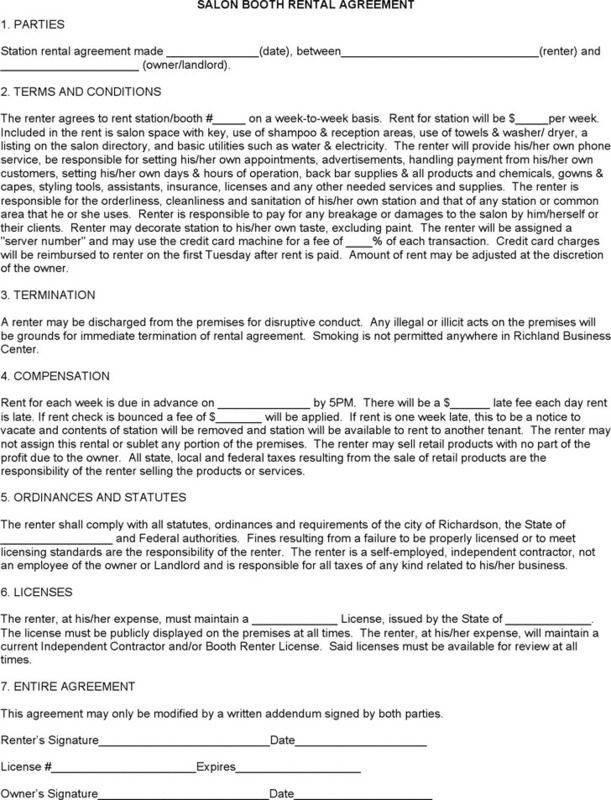 FormsAtals provides you with various booth rental agreement templates, Salon Booth Station Rental Lease Agreement Template, for example.